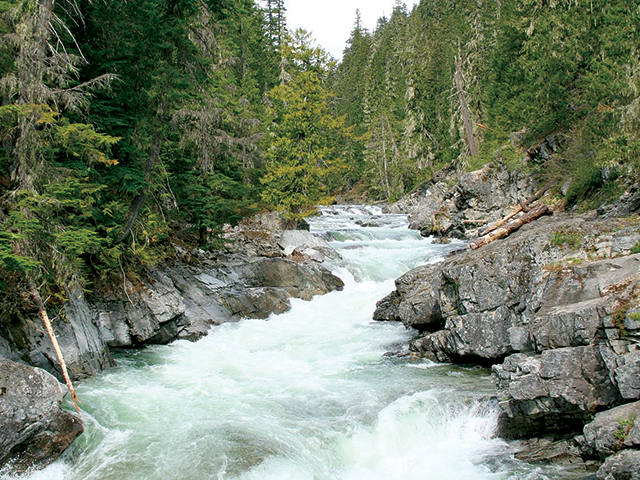 Get our insiders' guide to Washington State Scenic Drives and Road Trips. 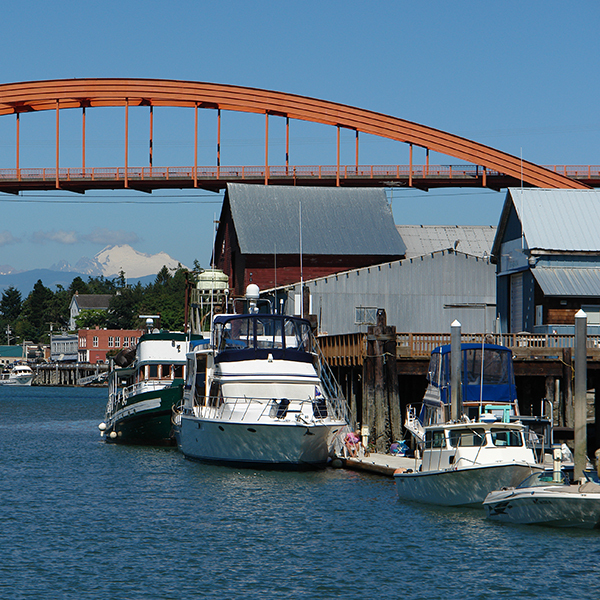 Visit the Olympic Peninsula and Pacific Ocean. 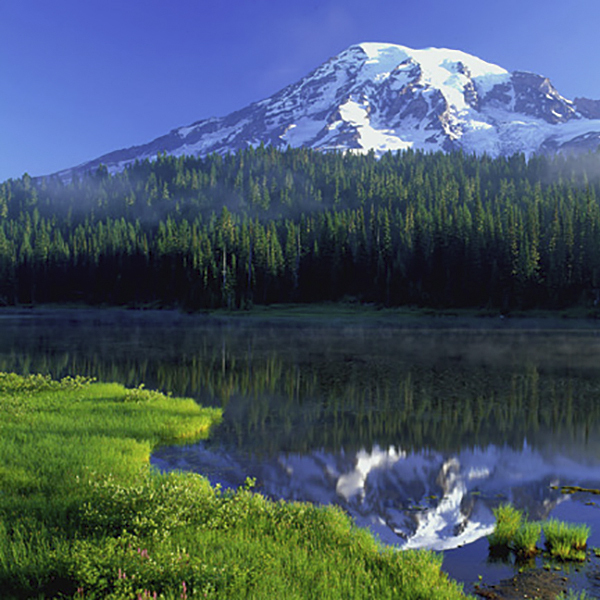 Follow the winding roads over Chinook Pass and around Mount Rainier. Consider road trips to Eastern Washington and the rolling hills of the Palouse Scenic Byway. 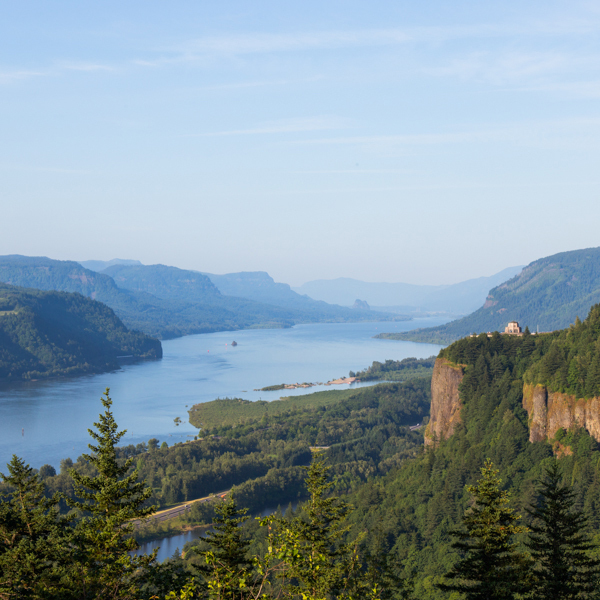 Trace the footsteps of the Lewis & Clark journey through Washington State. 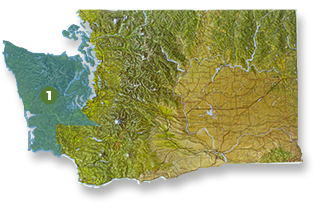 Take suggested tours through Washington Wine Country... and way, way more! 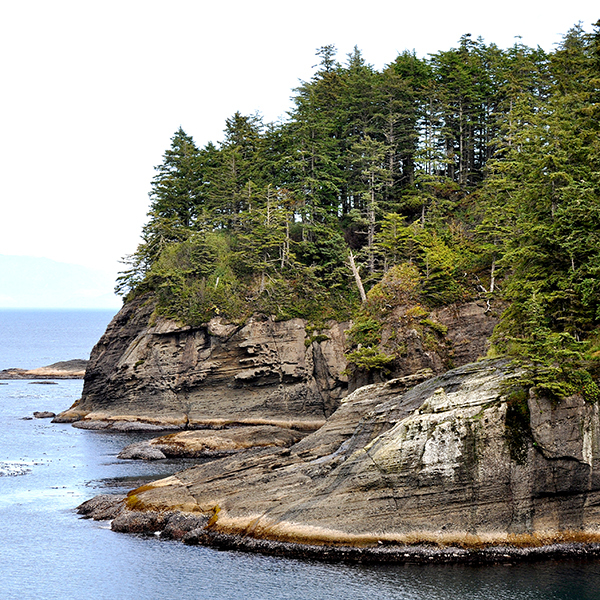 Ocean beaches, seaport villages, rain forests and secluded islands can all be found in northwest Washington’s peninsulas, Pacific coast and islands. 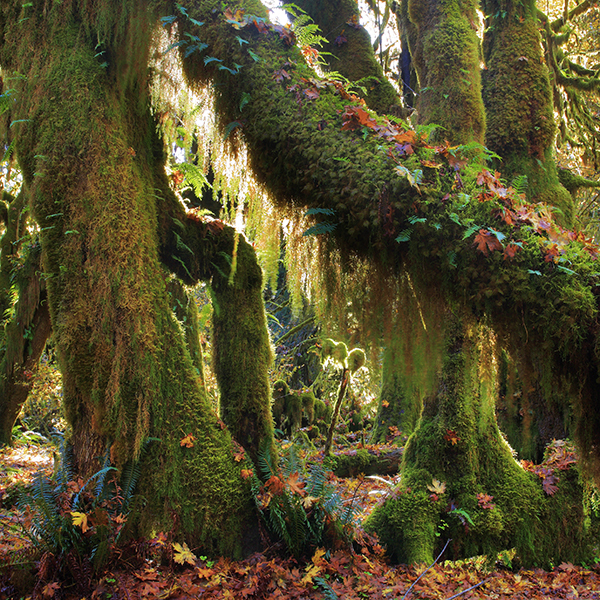 Located entirely within the traditional home of the Makah Tribal Nation, this is the first tribal road in the nation to be awarded scenic status. This road trip epitomizes the Evergreen State. 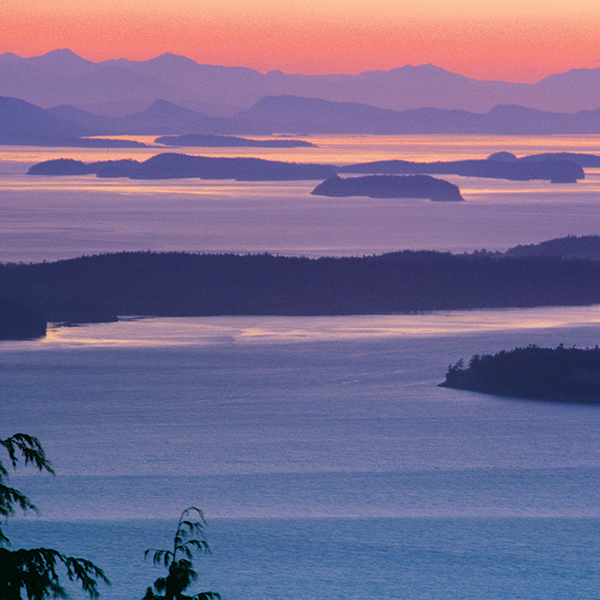 Circling the Olympic Peninsula, it winds through a national park, rain forests and along the Pacific coastline. 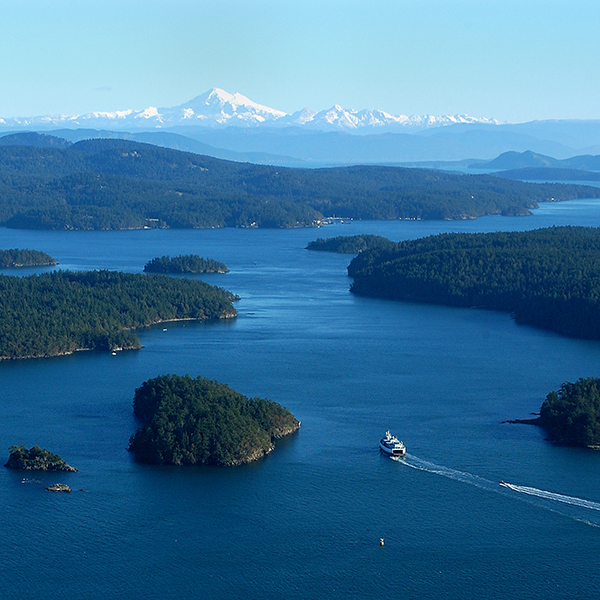 Board a Washington State Ferry to the San Juan Islands which includes a marine highway and driving tours on both Orcas and San Juan Island. Retrace the Lewis & Clark journey from Hells Canyon to the Pacific Ocean and see the landscape as it would have looked 200+ years ago. 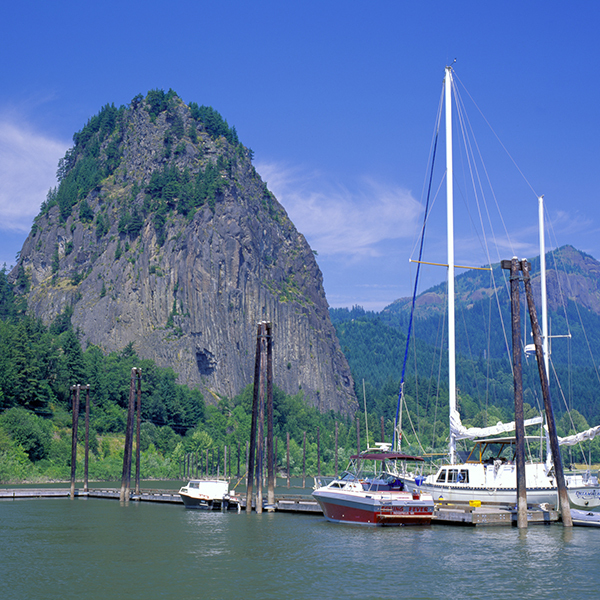 This 440-mile byway is so grand it contains three of our other road trips, Stevens Pass, Whidbey Island and the North Cascades Highway. 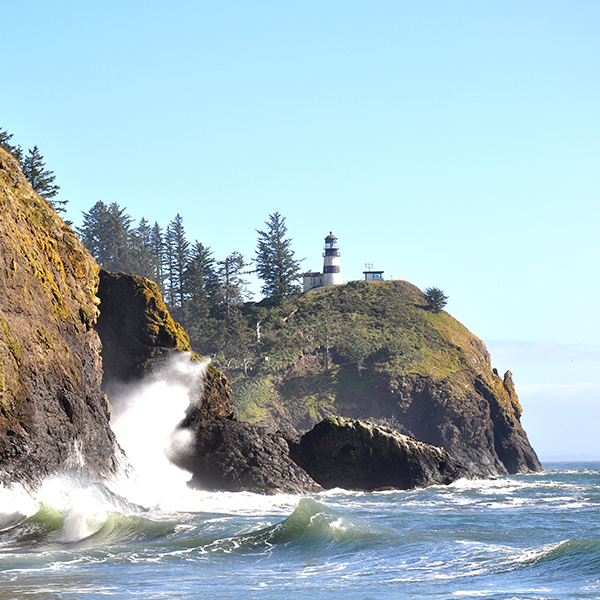 Accessible from the I-5 corridor, these road trips include routes up, over and through the towering Cascade range that separates the "wet" and "dry" sides of Washington State. 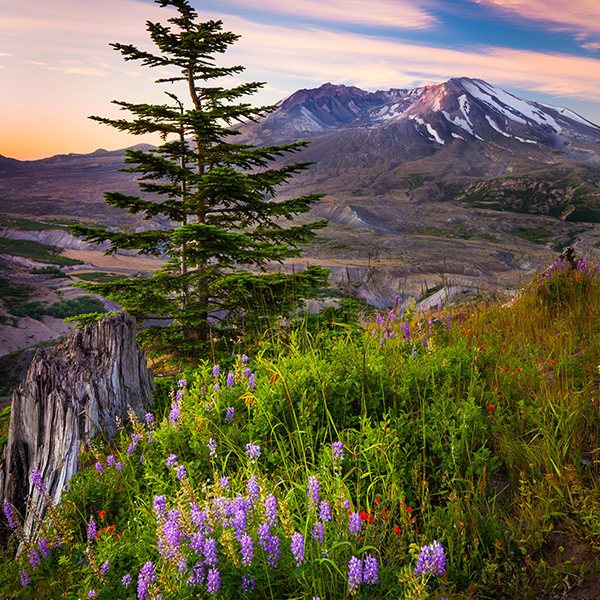 From the rolling fields of Enumclaw west of the Cascades to Naches on the eastside this road trip wraps around the northeastern flank of iconic Mount Rainier. 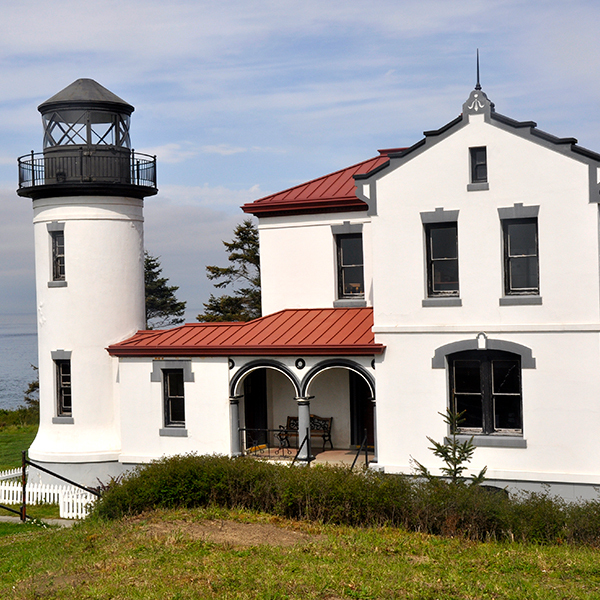 This 24-mile trip hugs sheer sandstone cliffs and provides spectacular views of the San Juan Islands, ending in Bellingham's Fairhaven District. 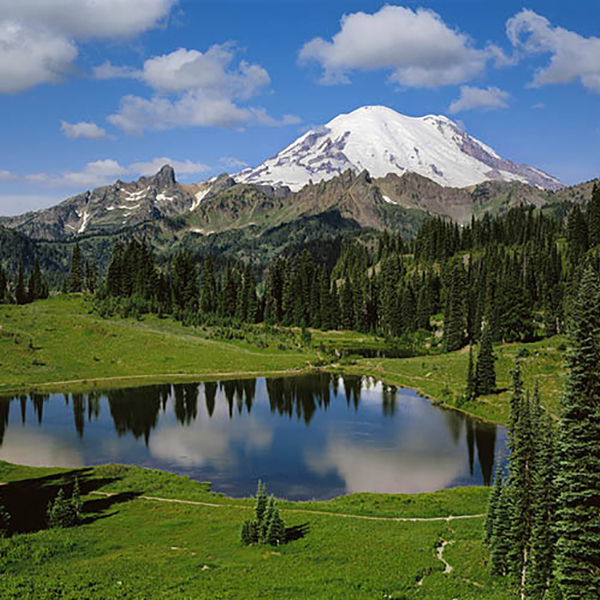 Winding past waterfalls and old-growth forest groves, this 58-mile trek ends at the base of the 10,781-foot volcano Mount Baker. 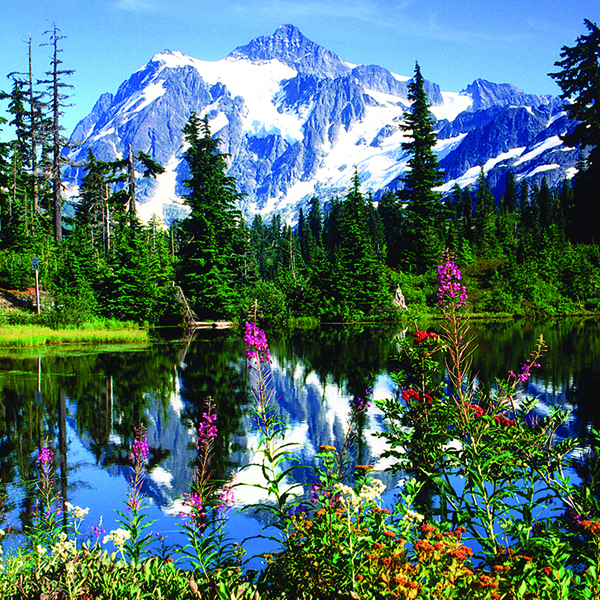 With its hairpin turns and jaw-dropping vistas, many argue that the North Cascades Highway is the most scenic road trip in Washington State. 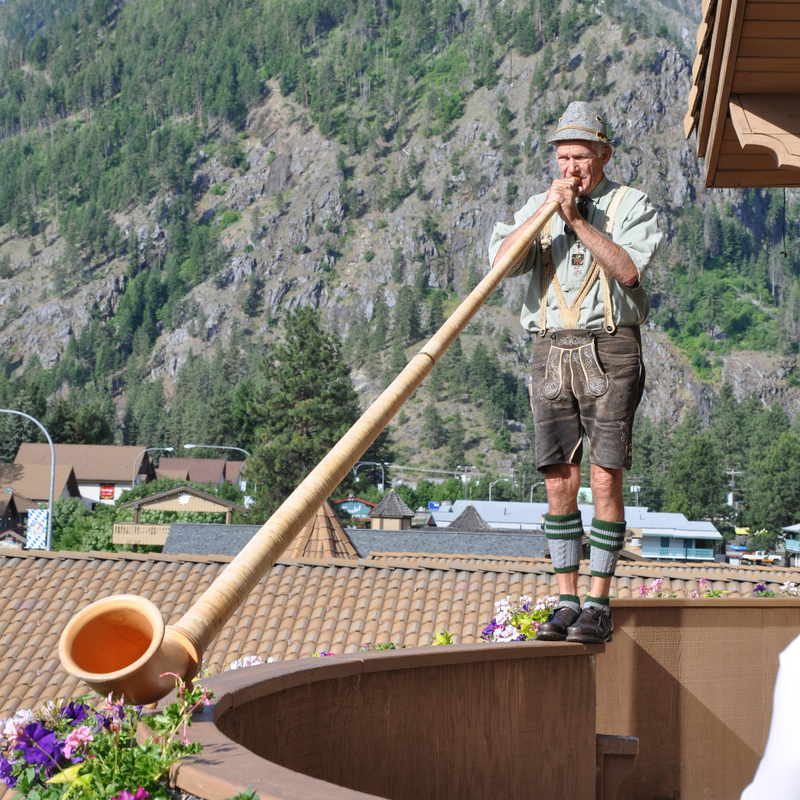 This road trip starts on the shores of Puget Sound, climbs over Stevens Pass then drops through Leavenworth to Wenatchee on the Columbia River. 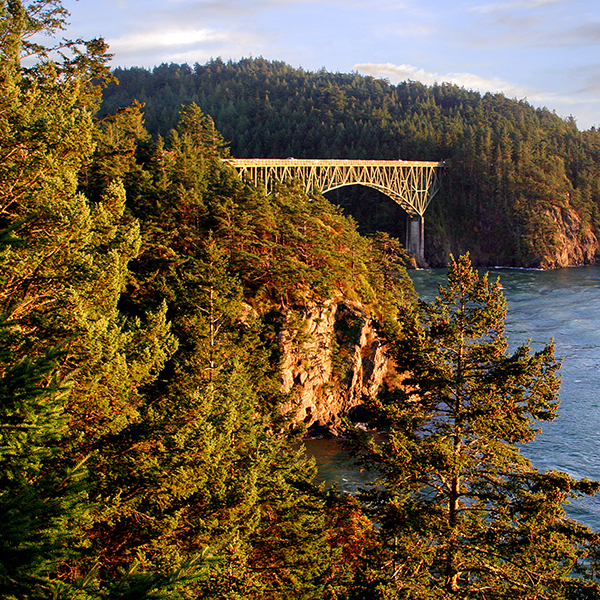 A magnificent driving tour from the lush evergreen forests of western Washington, over the Cascades into the sage-covered hills on the state’s east side. This region includes access to the Mount St. Helens volcanic crater and the Columbia River Gorge—a geologically stunning place created by the mighty Columbia River cutting a massive gap through the towering Cascade Mountain Range. The only scenic byway in the country that penetrates a volcanic blast zone. See remnants of the massive destruction and Mother Nature's healing powers. 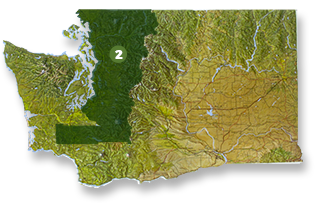 The Columbia River cut this dramatic and awe-inspiring gap through the Cascades Mountains on its way to the Pacific Ocean. 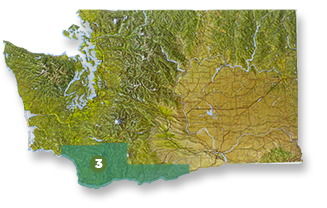 North central Washington is a geologic marvel of coulees and potholes created by the cataclysmic glacial Lake Missoula floods that gouged, scraped and shaped this wondrous landscape and event caused the Columbia River to jump its banks between 14-16,000 years ago. 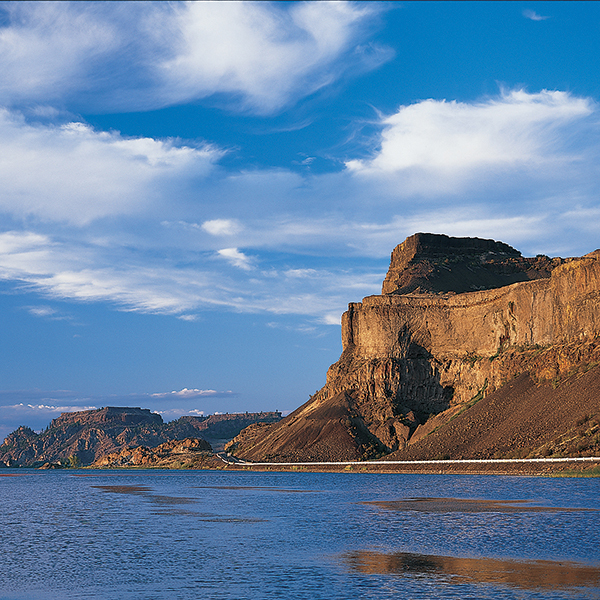 Explore the dry canyons gouged out by the Glacial Lake Missoula floods that roared through here several times up until around 13,000 years ago. 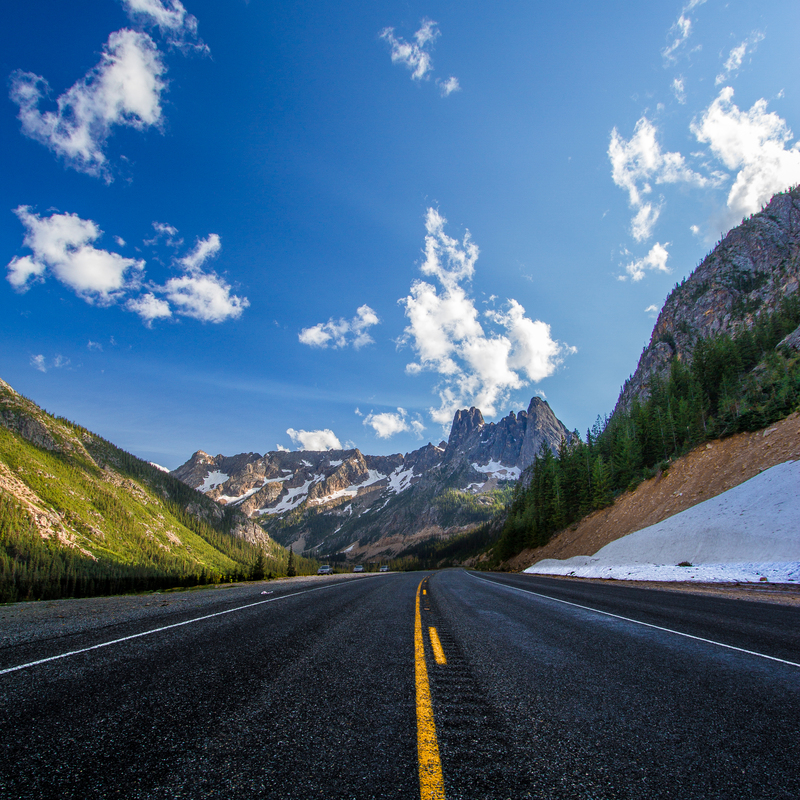 With its hairpin turns and jaw-dropping vistas any argue that the North Cascades Highway is the most scenic road trip in Washington State. 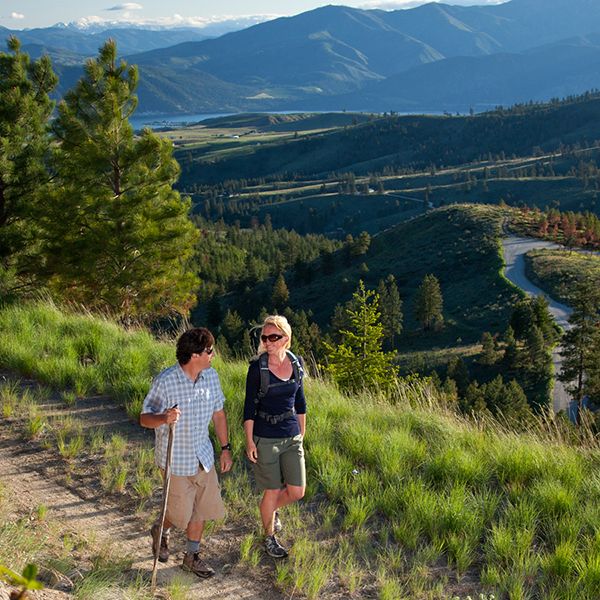 The byway follows the Okanogan River with stunning valleys and rugged hillsides from the point where it flows into the Columbia River. 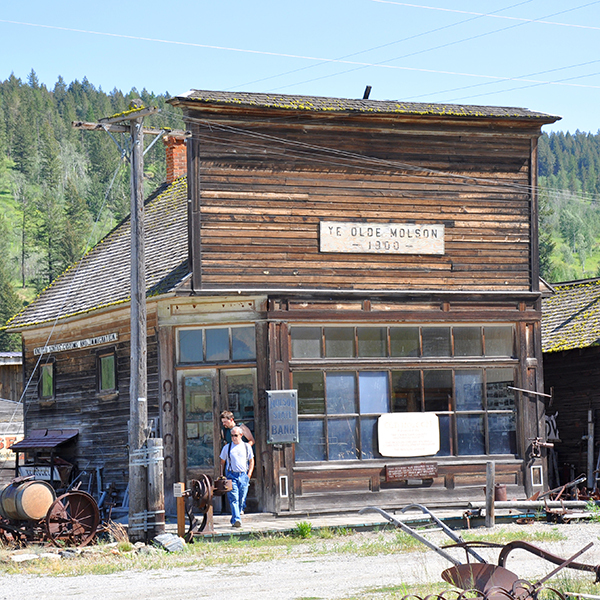 This byway rambles through back roads from Roslyn east of Snoqualmie Pass to Vantage on the Columbia River and reminds travelers of a bygone era.